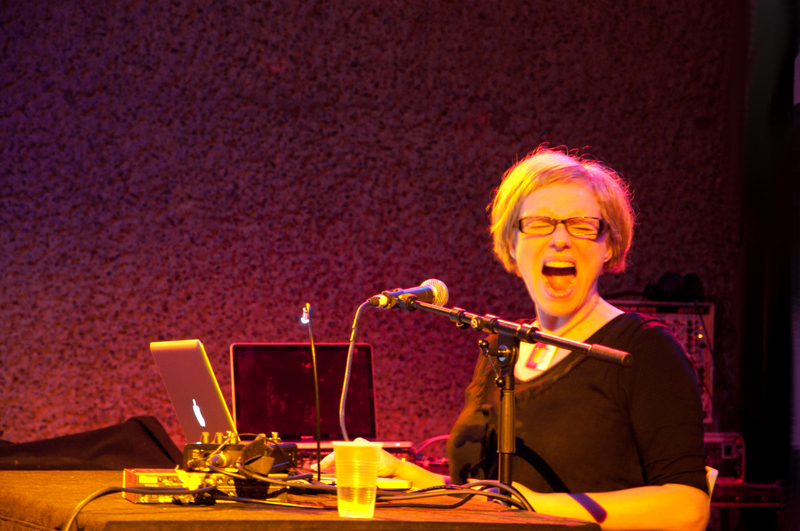 iris garrelfs is a sound artist and improviser active across performance, installation and fixed media. in performance she often uses her voice as raw material for conjuring multilayered listening experiences where voice is transmuted into machine noises, intricate rhythms, choral works, pulverised into granules of electroacoustic babble and glitch, generating animated dialogues between innate human expressiveness and the overt artifice of digital processing as the wire magazine put it. moulding complex aural collages, her work has been compared to artists such as yoko ono, henri chopin, joan la barbara, meredith monk or arvo part. artworks and performances have featured at tate britain, science museum, international computer music conference, gsk contemporary at the royal academy of arts and rencontres internationales (paris, berlin, madrid). elsewhere, iris is one of the founding directors and curators of sprawl, advocating experimental sound through live events and recordings. she is currently a lecturer and ahrc phd research fellow at london college of communication (university of the arts london) and commissioning editor of reflections on process in sound. garrelfs’ work further points toward a flow of sonority that leaves us further tuned to all that hovers in and around the voice. in doing so, she fully locates sound as an important route for reimagining the time and space of the contemporary environment (brandon labelle, 2014, sleeve notes to bedroom symphonies).